SPAR France were delighted at the high level of attendance at their most recent convention, bringing together retail and distribution teams. 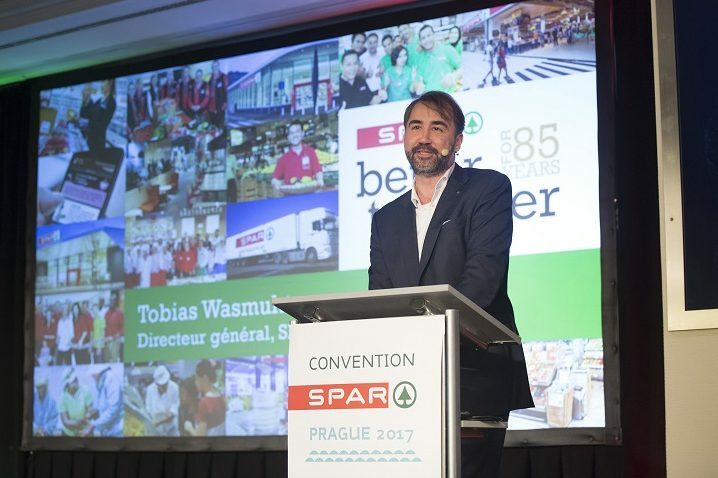 SPAR International Managing Director, Tobias Wasmuht, was pleased to share not only most recent statistics from the worldwide organisation but also discuss future joint strategic development. 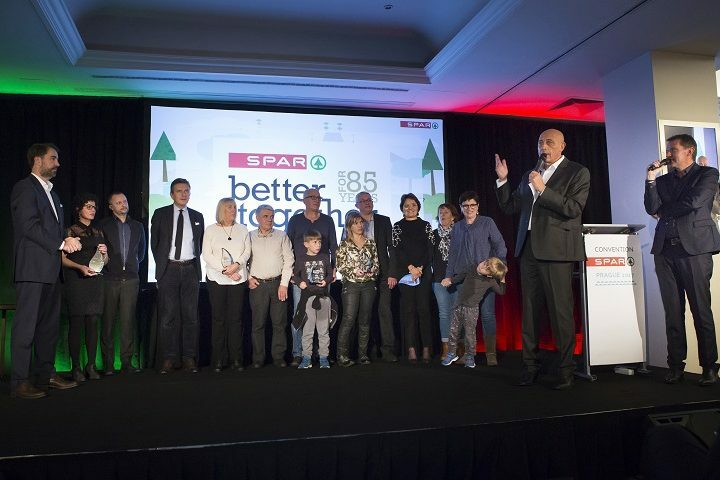 SPAR France has enjoyed great success in recent years, growing by 5% following the successful implementation of a new look and feel in 60% of their stores. The SPAR Partner aims to have 100% of its SPAR stores renovated to benefit from the new look and feel by 2019. The conference was officially opened by Vincent Rebillard, SPAR France CEO, who gave an overview of the business. Pascal Boutillier, Chief Operations Officer, then outlined in more detail the strong growth of the SPAR Brand in France, which saw an average growth rate of 5% in 2017 and on basis of which the group are aiming for even stronger growth in 2018. The ambitious growth plans will see SPAR France growing its network from the current 860 stores to 1,000 by the end of 2019. In terms of sales growth, this will mean achieving €1.1 billion by the end of 2019 – up from the current annual turnover of €890 million. A key feature of the new look and feel is greater investment in destination departments emphasising the fresh food sections where individual retailers are able to adapt the offer to showcase both their expertise and passion for food. The specialty meats, fresh fish, baked goods, wines or spirits for which a specific retailer is renowned, are in turn real destinations that attract footfall to the store. Currently, 68% of SPAR France stores showcase one or two of these departments but the intention is to have every store featuring at least one hero department by the end of 2019. SPAR France introduced a new Loyalty Scheme in 2017, which 55% of SPAR stores have already rolled out, generating a win-win situation for both retailers and customers, in the form of discounts. SPAR has chosen to reward customers for their loyalty and build a personal relationship with them, by sending them personalised e-mails and messages with promotional offers. The new loyalty card grants holders a 5% discount on all own brand products and a discount on destination department purchases. The average basket spend has increased by 80% in SPAR neighbourhood stores and by 67% in the larger format SPAR Supermarkets. 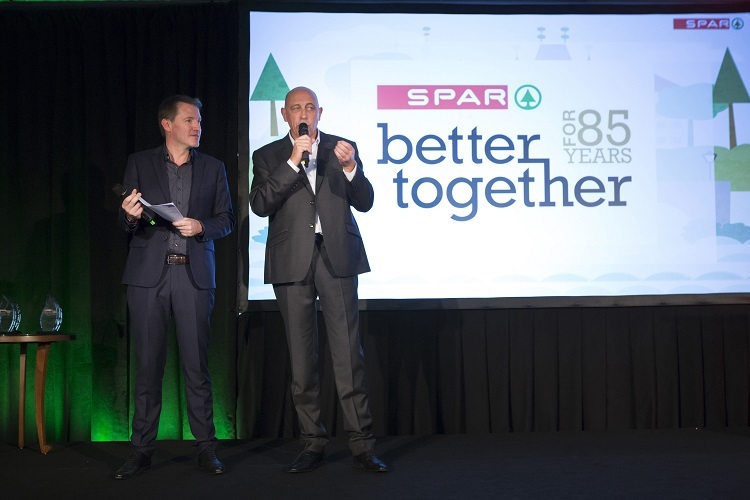 SPAR France shared with the retailers at the convention two key promotional pillars which reflect the strength of the Brand. “The best of local”, showcases the very best traditional and locally sourced products whilst “The best of elsewhere”, highlights diversity with many International SPAR Own Brand ranges sourced through SPAR International. An overview was given of a new SPAR Acadamy, which is soon to be launched in the city of Lyon. It will provide retail training to SPAR employees, as well as English language coaching, in recognition of the many tourists shopping at SPAR stores in France. Read more news from SPAR France. SPAR was introduced to France in 1955 and in the 1990s SPAR International granted Casino the licence to operate the brand. There are continual developments in relation to both the store formats and the customer offer. As a result of the scale of the Casino operations, SPAR has benefited from the existing distribution network and has expanded nationwide. Shoppers continue to favour local produce and products as well as neighbourhood retailers. The SPAR concept, operated by independent retailers, fits this trend and has seen a rejuvenation of its offer.